Dianne brings over 20 years of experience in many aspects of the property management industry, having started out as an administrator and holding various titles prior to joining KÜNG as head of our financial department, all of which of have greatly contributed to her understanding of, and ability to manage the needs of our clients. Dianne holds both a Certificate of Bookeeping from Centennial College, and a Certificate of Property Management from Humber College. Having a wealth of knowledge & experience in both the administrative and financial fields, Dianne has been instrumental in helping streamline financial systems and procedures for both corporate and client accounts. After over 25 years in the real estate industry as a Senior Law Clerk, Aili has been the General Manager of KÜNG Property Management since its inception in 1995, and is responsible for the overall management of all departments. 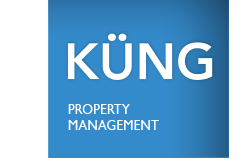 Providing supervisory support and training to all new staff, Aili oversees all of the day-to-day operations and ensures all of our clients receive the prompt and professional service they have come to expect and enjoy from KÜNG Property Management. Aili’s extensive knowledge of condominium management and insistence upon providing unparalleled service are largely responsible for the continued growth and success of KÜNG Property Management. Tracy came to KÜNG in 2007 after working as a Law Clerk in the real estate field for over 15 years. Her legal background and knowledge of Condominiums have been a great asset in her dealings and communications with Corporations, Boards & Owners. Responsible for maintaining both physical and on-line records for all of our Corporations, Tracy develops and maintains both our administrative and computer systems to continually improve service levels to all our clients, as well as ensure information provided by all staff is disbursed in the most efficient manner, and in accordance with new regulations under the Condominium Act, 1998. Tracy is also our ACMO 2000 Team Leader and is currently working towards obtaining her RCM designation from ACMO.